In 2015 alone, Multiple Sclerosis (MS) affected about 2.3 million people globally and claimed over 18,900 lives. The impact this neurological disease has on people across the world is a source of both curiosity and anxiety. On the occasion of World Multiple Sclerosis Day (May 30), we hope to answer some of the most urgent and important questions surrounding MS through these FAQs. 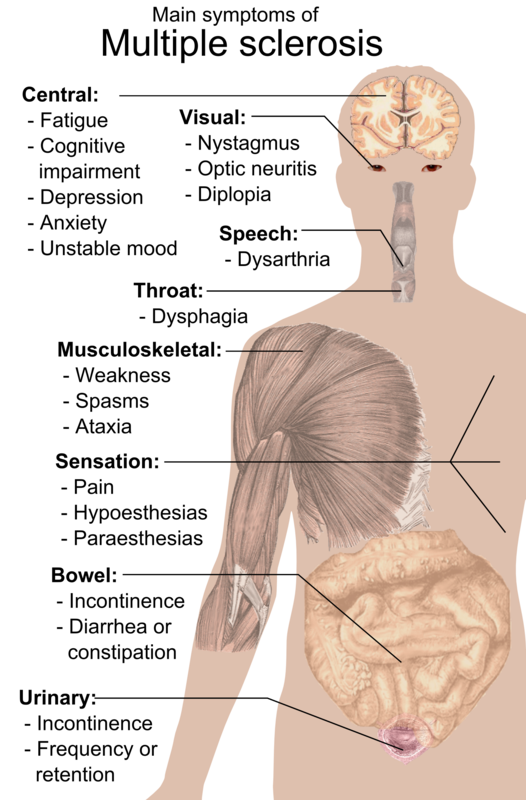 Derived from the term ‘sclerae’ or lesions, Multiple Sclerosis is a progressive immune-mediated disorder in which the body’s immune system attacks the central nervous system. As a result, the nerve fibres and their myelin sheath — a fatty cover over them — sustain damage, exposing the nerves and hampering transmission of signals from the brain to the rest of the body. Its symptoms become more apparent with time and can be physically destabilizing. Medical experts have not yet established laboratory tests that can conclusively diagnose MS. Instead, doctors depend on a combination of medical history analysis, neurological exams, and tests such as MRIs, evoked potentials (EP), and spinal fluid analysis to find out whether a person is susceptible to MS or not. This episode is typically how all types of MS begin — with the body’s immune system attacking the myelin sheath on the spinal cord. This may turn into MS if the attack has caused lesions on the nervous system. As the name suggests, patients experience frequent relapses of intense neurological symptoms, followed by periods of remissions — when these symptoms almost entirely disappear. During these remission phases, the symptoms do not show any signs of progressing further. This is the rarest form of MS. In cases of PPMS, the patient’s condition tends to get worse over time, and they experience very few remission phases. This is a progression from RRMS, in which patients’ symptoms worsen steadily over time and the remission periods get shorter and fewer in between. How will MS impact the patient’s life? Evidence collected over time has proven that MS doesn’t affect life expectancy. Its symptoms, even as they become severe, rarely ever disable the patient. This means that people with MS have a fair chance at living a long and fruitful life. With the best available treatment and a healthy lifestyle, anyone with MS can continue leading their lives as normally as possible. General prescriptions for them include getting sufficient sleep, reducing stress, maintaining a healthy diet, and seeking support whenever needed. Our speciality, stem cell therapy, is bringing health back to the lives of many people around the world. In the case of MS, Autologous Haematopoietic Stem Cell Transplantation (AHSCT) extracts stem cells from the patient’s body (specifically from the bone marrow) and uses their regenerative properties to heal the nerve damage. Along with such progressive medical options, our neurologists and allied health professionals such as physiotherapists and occupational therapists, come together to facilitate a faster recovery of all our patients. 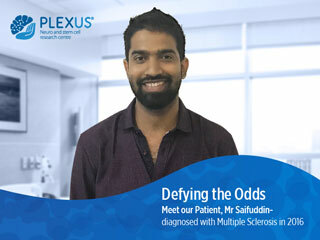 Are there any success stories of treating MS at Plexus? We hope these Frequently Asked Questions have answered your queries about MS. If you seek more clarity on how the disease can change one’s life and what Plexus can do to help, visit our Centre or book an appointment today. Previous PostPrevious Who Needs Occupational Therapy?